Canadian yoyo champ Harrison Lee put together a 10-minute recap video of the 2016 World YoYo Contest, held August 3-6 in Cleveland, Ohio. Harrison Lee always puts together the best contest recap videos! We’ll even totally forgive him for getting the dates wrong on his title card, ha ha! Check out his recap of the 2016 World YoYo Contest, held this past August in Cleveland, Ohio. Gee Cheung dropped a new video, and it’s short and sweet and worth your time. 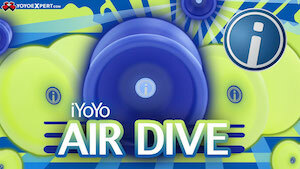 Yoyo used is the Core YoYo Co. Standard. We’ve got video of the winners of the 2016 World YoYo Contest! You can view Prelim & Semi-Final routines here: YoYoVideoArchive, and the rest of the Finals are being uploaded slowly but surely here: 2016 World YoYo Contest on YouTube. We’ve got full results and scoring breakdowns for the Semi-Finals at the 2016 World YoYo Contest, as well as a player order for Finals in all divisions. Day One of the 2016 World YoYo Contest has drawn to a close, and we have the results of the 1A Wild Card round! The top 37 players will be advancing to tomorrow’s Prelim round. Check out the full score list below, and check back tomorrow for the Day Two player order. CLYW and YoYoFactory have teamed up for a massive collaboration called BASECAMP, and it’s launching at the 2016 World YoYo Contest! The new collaborative brand will feature yoyo designs inspired by models from both companies, as well as new designs created collaboratively and other accessories like patches, stickers, tin mugs, and more. The official release party and the first opportunity to buy BASECAMP releases will be Thursday, August 4th at SPACES Gallery, a short walk from the main contest venue & hotel. The party starts at 8 PM, and there will be a food truck for anyone who wants to pick up some dinner. 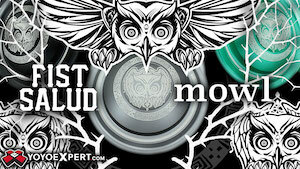 Check out the official announcement below, as well as some teaser images of the new yoyos. You can also head over to BasecampYoYo.com for more teaser images of the new lineup. We’re excited to announce BASECAMP, a new collaboration with our friends at YoYoFactory! BASECAMP is where we all come together. A place to take refuge, a place to make plans and share stories…a place where one adventure ends and another begins. 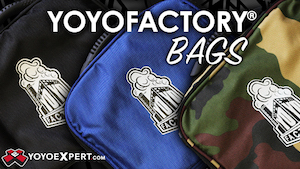 This collaboration between CLYW and YoYoFactory is about working to create something that forges a new path forward for both companies, together or apart. Sometimes, the best view isn’t from the summit. Online registration has ended for the 2016 World YoYo Contest, and we’ve got the final list of registered competitors! Updates for the 2016 World YoYo Contest will be completely taking over YoYoNews.com very soon. We’ll have full coverage of the event, an embedded live stream of the contest with schedule, and we’ll have final results and scoring breakdowns posted direct from the contest as the winners are announced! We’re incredibly excited to announce that 2015 World YoYo Champion Zach Gormley will be throwing out the ceremonial first pitch at a Cleveland Indians baseball game the night before the 2016 World YoYo Contest begins! On August 2nd the Cleveland Indians will play the Minnesota Twins at Progressive Field in Cleveland, Ohio, and Zach Gormley will kick everything off with the first pitch and then stick around for a quick yoyo routine during the 7th Inning Stretch. (Progressive Field is just a 15-minute walk from the Renaissance Cleveland Hotel, the venue and hotel for the World YoYo Contest.) The 2016 World YoYo Contest runs August 3-6. Guinness World Record holder John Higby appeared on The Today Show to celebrate National YoYo Day, and he knocked a quarter off Al Roker’s ear with a yoyo. Because John Higby is the absolute best! John will be one of the emcees at the 2016 World YoYo Contest in Cleveland, Ohio this August. The best players from more than 30 countries will gather at the Renaissance Cleveland Hotel to compete for the title of World YoYo Champion, and John Higby will be on stage to cheer them on! I appeared last night on WKYC Channel 3 here in Cleveland to promote the announcement that Cleveland, Ohio will be the host city for the 2016 World YoYo Contest. Check out my awesome shirt and the beginnings of a truly ferocious winter beard. Cleveland yoyo player and recent addition to the Recess Intl. team Colin Beckford picked up a nice interview in the recent wave of press for the announcement of Cleveland, Ohio as the host city for the 2016 World YoYo Contest. Check out an excerpt below, along with a link to the full article. 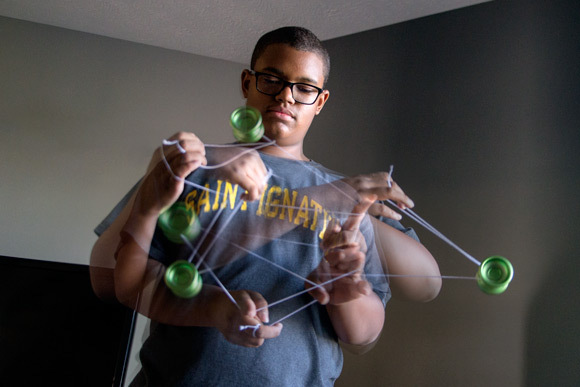 Colin Beckford, a 15-year-old junior at St. Ignatius High School, practices two to four hours a day. He doesn’t play video games, he doesn’t watch television. This past summer he beat out hundreds to win the 2015 International Yo-Yo Championship (IYYC), which ranks him 17th on the planet. Beckford is an international yo-yo champion. You read that right – yo-yos. In pursuit of excellence, this past summer alone, Beckford traveled to Orlando, Wisconsin, Minnesota and Michigan. In Minnesota he competed in the Midwest Regional Yo-Yo Championship and won in the 1A and 3A categories. * In Michigan he completed in the Mideast Regional Yo-Yo Championship, where he won 1A and 3A categories as well. In August it was the International Yo-Yo Championship in Anaheim, where he took first place in the 1A category, beating over 100 competitors. Beckford’s parents point to his tenacity, focus and skill “[Yo-yoing] is not like throwing and catching a ball,” Dawn says. “There’s a lot more to it – it’s nerdy and smart; he’s really found his niche.” She suggests watching some of his skill on YouTube videos. Check out the full article on FreshwaterCleveland.com.